Entries accepted through April 13 in 90 categories across Human Capital Management in Learning and Development, Talent Management, Leadership Development, Talent Acquisition, Workforce Management/HR, and Sales Performance. Brandon Hall Group recently opened applications for its 24th Annual HCM Excellence Awards Program. 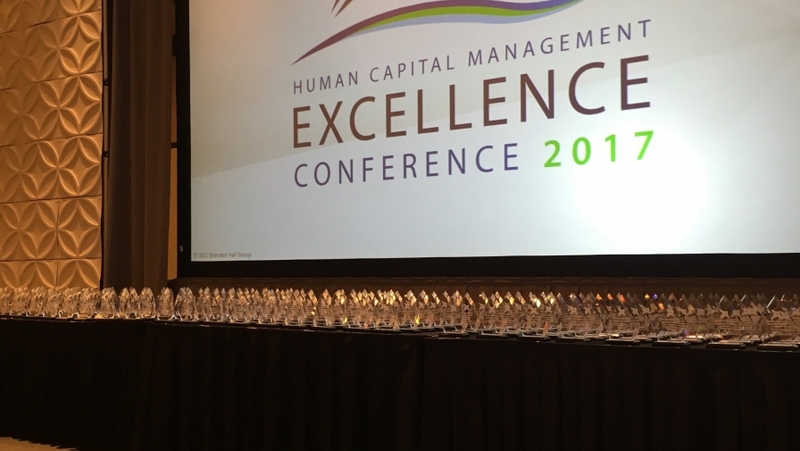 Next week, award winners from the 2017 HCM Excellence Awards will be honored at the HCM Excellence Conference and Awards Gala. Applications for the 2018 programs have already opened for this year’s program in Learning and Development, Talent Management, Leadership Development, Talent Acquisition, Workforce Management/HR, and Sales Performance. Applications will be accepted until April 13, 2018. The award categories have expanded to more than 90 and are judged by Brandon Hall Group executives and analysts and an international panel of judges. Results will be announced in a live online event, on August 23, 2018. The Brandon Hall Group Excellence Awards is the most prestigious awards program in the performance improvement industry. Often called the “Academy Awards” by learning, talent and business executives, the program was one of the first of its kind when it debuted in 1994. Brandon Hall Group recognizes the best organizations that have successfully developed and deployed programs, strategies, modalities, processes, systems, and tools that have helped companies achieve measurable business results. A complete list of winners from the 2017 awards in Learning and Development, Talent Management, Leadership Development, Talent Acquisition, Workforce Management/HR, and Sales Performance can be found here. Winners of five or more awards included: Accenture, Bank of America, Bayer, Capgemini, Cisco, Cognizant, Emirates NBD, Genpact, Google, IBM, Mercer, NIIT, SAP, Shell, and Tata Consultancy Services.